Texas, California and Florida created more than 200,000 jobs in 2018, according to employment data released by the Bureau of Labor Statistics. Massachusetts and New York created more than 100,000 jobs, and Arizona and Georgia were just shy at 99,343 and 99,340, respectively. The top 10 states, in aggregate, accounted for about two thirds of the nation’s overall employment growth in the past year. Unemployment rates reached a historic low one month last year in close to 40% of states, seven of which hit a record low during the last month of the year. The total number of people employed fell in seven states last year with North Dakota, Louisiana and Arkansas and Wyoming leading states with fewer people employed. Civilian labor force employment expanded the most in Massachusetts with a 2.7 percentage point gain to 65.7%. New Mexico is in the No. 2 spot. Unemployment rates declined the most also in New Mexico, where the rate fell 1.3 percentage points. Iowa closed the year with the lowest unemployment rate at 2.4%; Alaska with the highest rate at 6.3% (albeit a record low for Alaska). Population employed, highest in Minnesota at 67.8%, fell in 16 states. At the bottom is West Virginia, where only 51.2% of the population is employed. 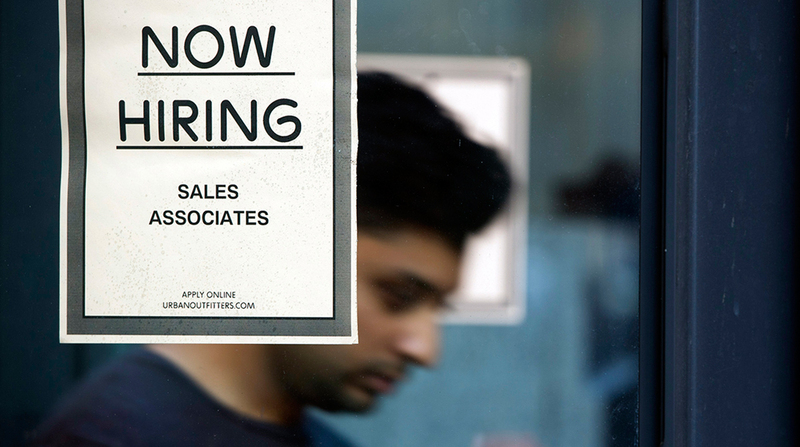 Headcount of those unemployed grew in eight states. The biggest gains occurred in Colorado as the labor force grew faster than available jobs. Data used is from the Local Area Unemployment Statistics survey, which is considered the household survey, and is based on where people live, compared with the Current Employment Statistics survey of establishments based on where jobs are located.